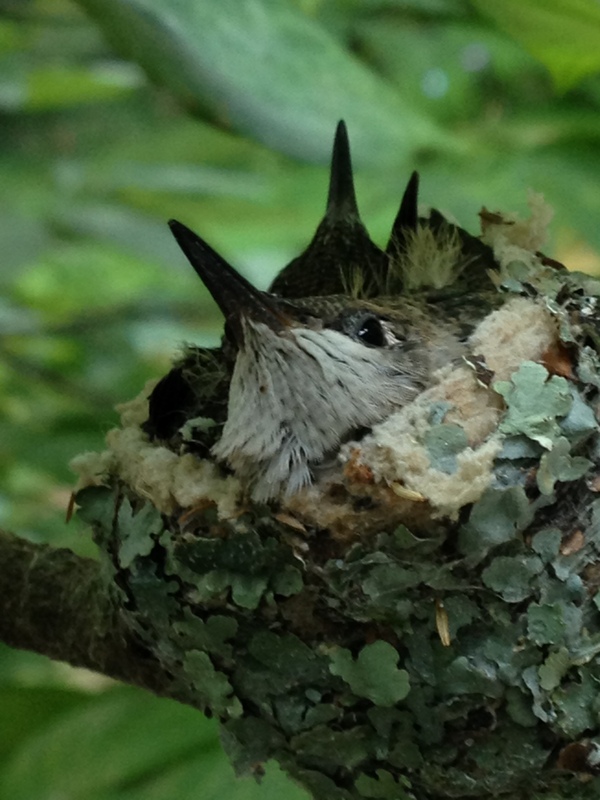 On Thursday morning, I checked the nest, and only one little hummingbird looked back at me. I looked around on the deck and in the shrubs to make certain that one of them wasn’t shuddering helplessly on the ground. I climbed the ladder, and the remaining one flew away, landing on my patio. The BFF approached it cautiously, and, when I realized that it wasn’t going to fly away, I carefully picked it up, as the Veterinarian taught me, and placed it back in the nest. Holding the tiny bird in my hand and feeling its incredible heart rate (at 1,200 beats per minute, it’s more like a vibration than a pulse), it didn’t seem like it was ready to leave. But when I came home from work, 12 hours later, it was gone. I can live with it. Through small miracles, a lot that wasn’t ok a month ago seems easier all of a sudden. I touched the little nest. It’s soft and spongy, like a thin wall of Nerf foam. If you can enlarge the top photo, you’ll see the filaments of spider web used to attach the nest to the branch. How amazing is that? And it’s not even 1-1/2″ high. How do they do that? Fairy tales can come true. I wonder if the mother will lay one last clutch of eggs before autumn. There’s time. It only took a month for these to hatch and leave. I’ll watch all spring, too, and maybe, just maybe, they’ll return. In one month, my vision of life has changed by reflecting on these birds. I wonder what else I’m not seeing. Of all the people on Earth, who am I to complain? Life is more than good (mostly). Soli Deo Gloria! Categories: Animals, hummingbirds, Nature | Tags: hummingbirds, nature | Permalink. 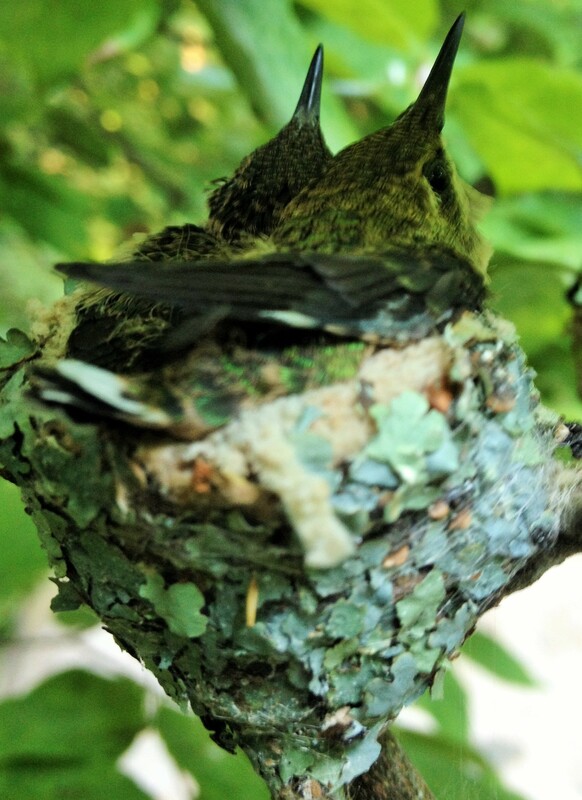 Day 11, post-hatching, the largest of the hummers has opened its eyes, and its beak has turned black. It did not exhibit a feeding response but also didn’t seem too concerned that I was taking photos. The smaller sibling remained curled up but is breathing. I’m hoping to see the color of its beak and whether or not its eye has opened. Both babies peep. Mom only buzzed by once to find out what was happening. She now lets me observe her after dark, when she is sitting on the nest, but I don’t want to frighten her with a flash. 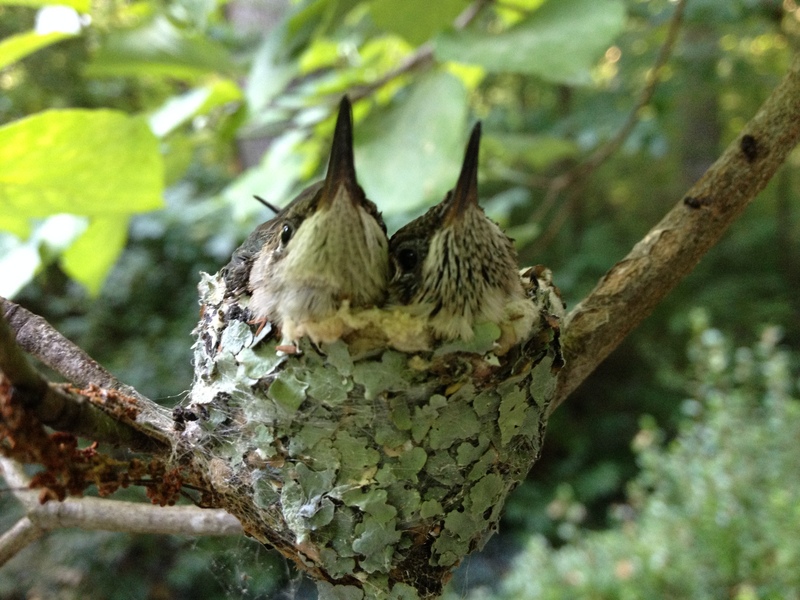 I read that hummingbirds use spider webs to hold their nests together and to anchor them to branches. The fuzzy understructure of this nest looks suspiciously like the BFF’s golden fur. 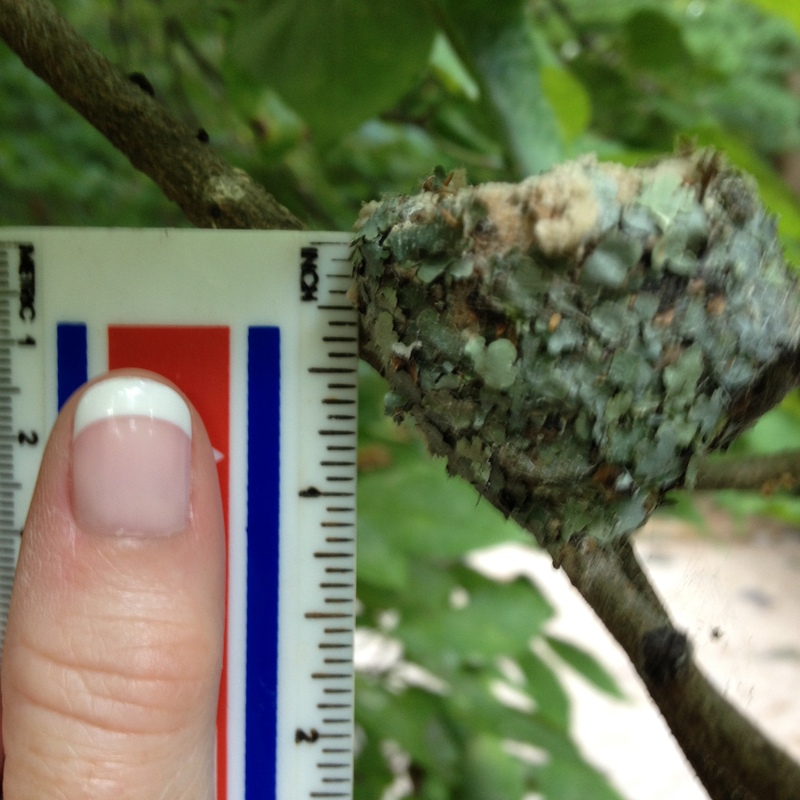 By the way, the photo is slightly tilted, not the nest. Categories: Animals, Nature, Uncategorized | Tags: hummingbirds, nature | Permalink. 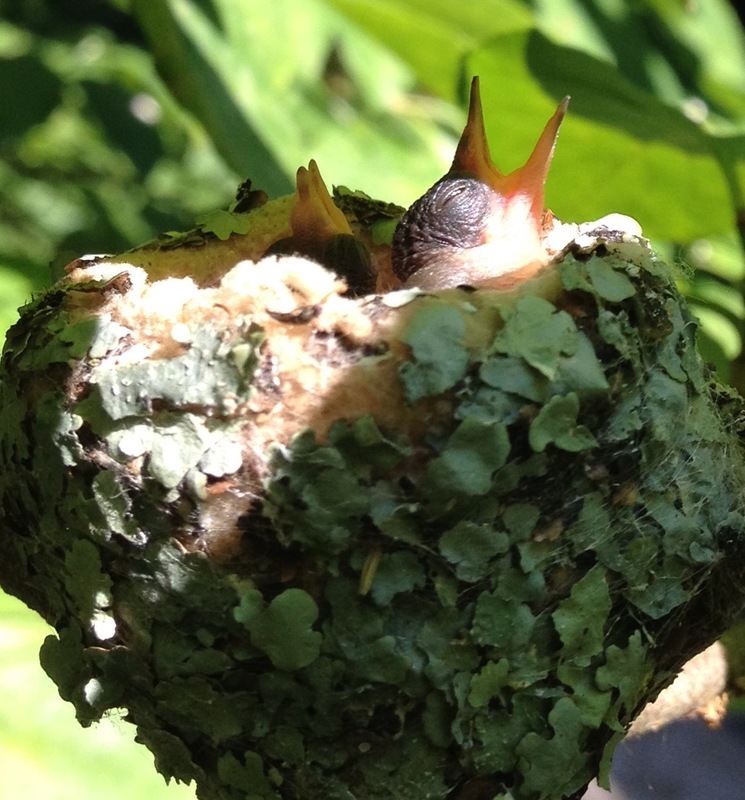 Today’s installment of the hatchlings shows both little beaks perked up and waiting for Mom. 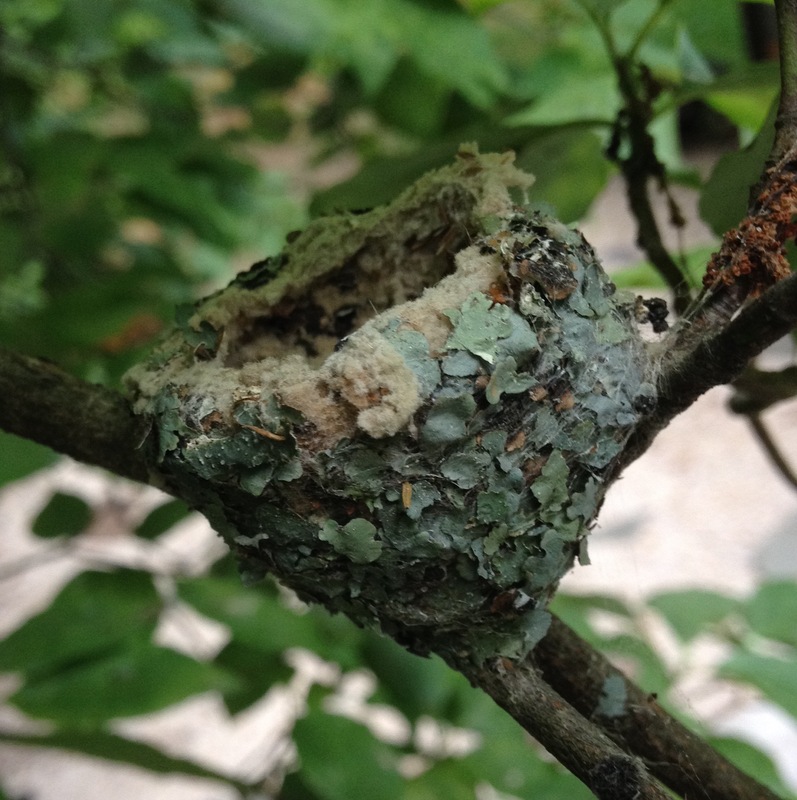 I noticed yesterday that she has enlarged the nest since they were hatched and still diligently sits on them. While I sat on the deck, she kept buzzing around but wouldn’t feed them, and they, hearing her buzzing wings, would bounce in the little nest (which is actually no bigger than a golf ball). After 30 minutes, I took their photo and went indoors. The larger one, on the right, almost has an opened eye, which seems early to me. I’m used to seeing all those helpless baby African Greys, Cockatoos, and Macaws that are just pathetic for weeks and weeks. 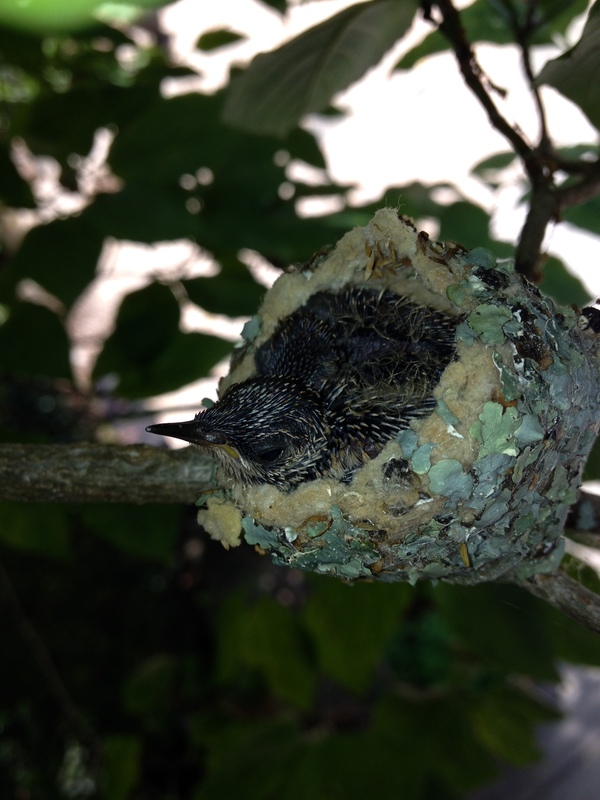 These little hummingbirds are progressing quickly, having just been born 4-5 days ago. Life is good (mostly)! Soli Deo Gloria!